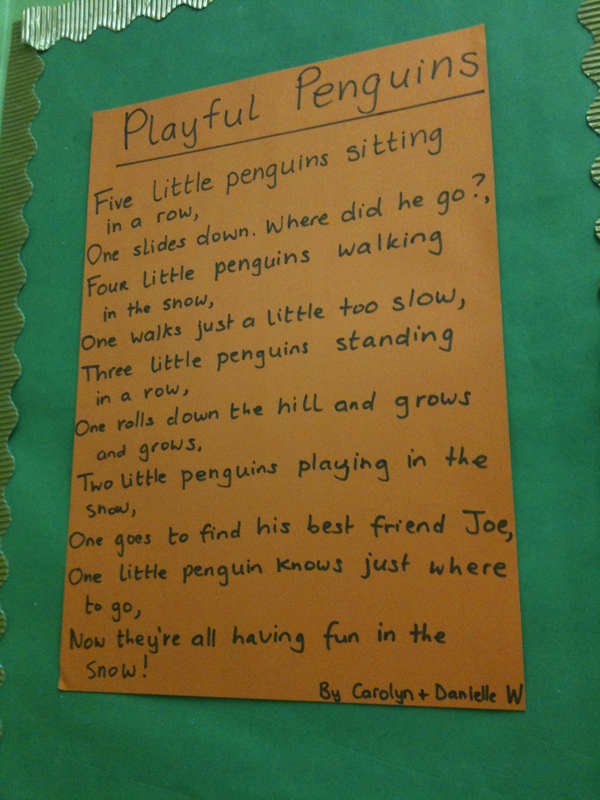 As promised in our last post here’s a quick recap of what the nursery got up to in the run up to Christmas. 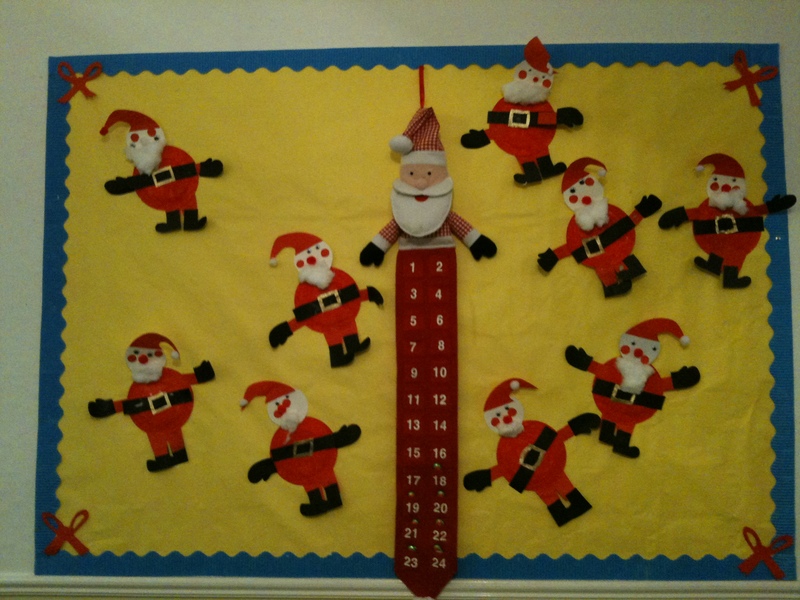 I have to say the pre-Christmas season literally flew at Santa’s sleigh speeds this year, but our students packed more activities in each day than the elves who load up Santa’s presents! The Junior class got the ball rolling with their seasonal tree display. Teaching history in the 2-6 age group begins with simple concepts such as what happens in a childs day, the concepts of morning, afternoon, evening and night, days of the week and of course the seasons. 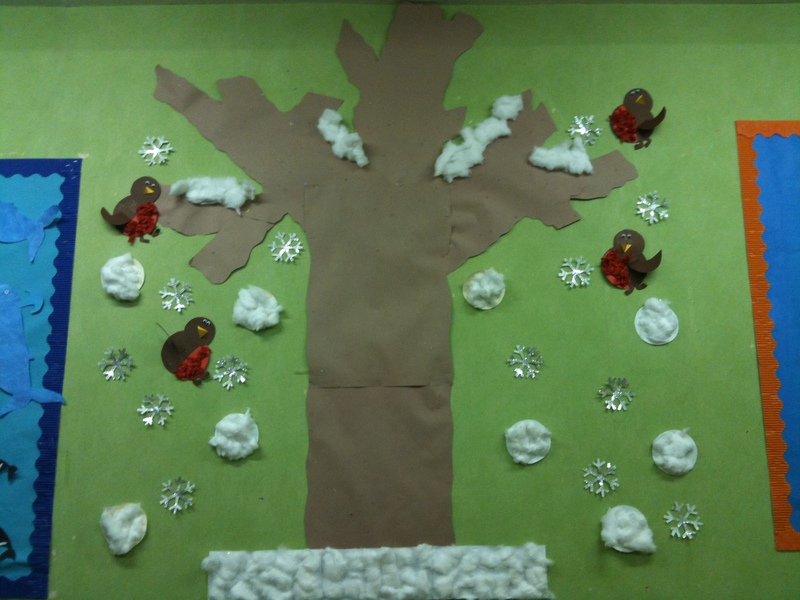 The seasonal tree takes a prominent place in classroom for discussion and observation with the children. 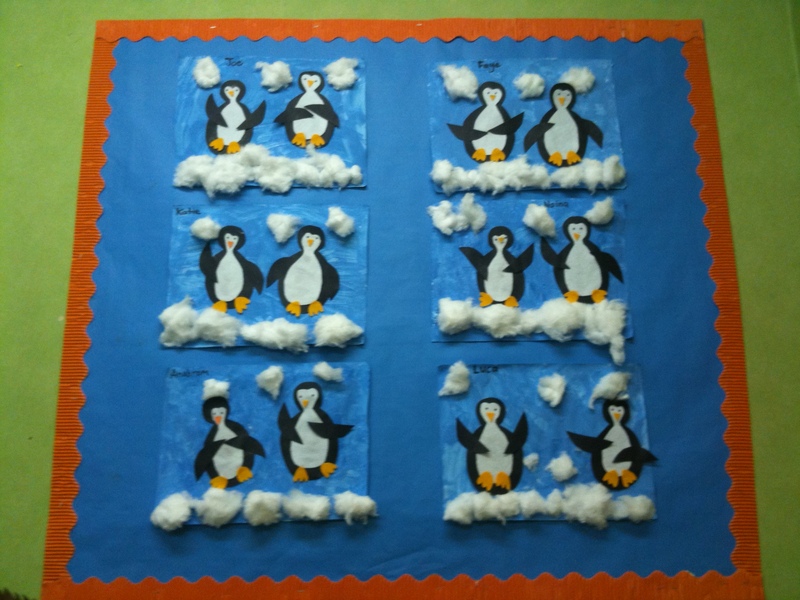 Continuing on their Antarctic journey the junior students learned about the penguin in circle time, creating penguin art and learning their poem about Playful Penguins! home and learning to express ourselves artistically gives the children a confidence in their abilities alongside having great things to take home to treasure. 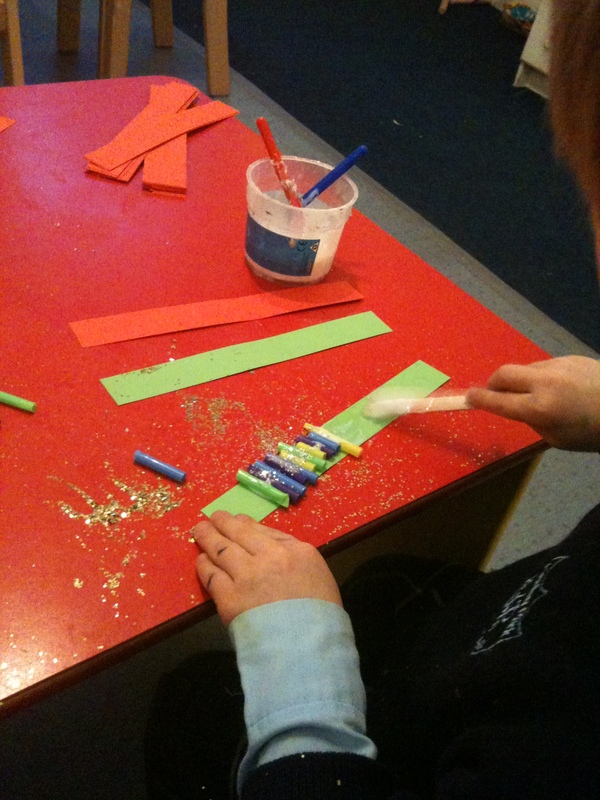 The skills involved in cutting, sticking, stapling, glueing, painting and colouring all develop hand eye coordination and fine motor skills. The sense of accomplishment in the finished product encourages children to complete the projects they start, these are many of the building blocks to the competent learner and member of society. 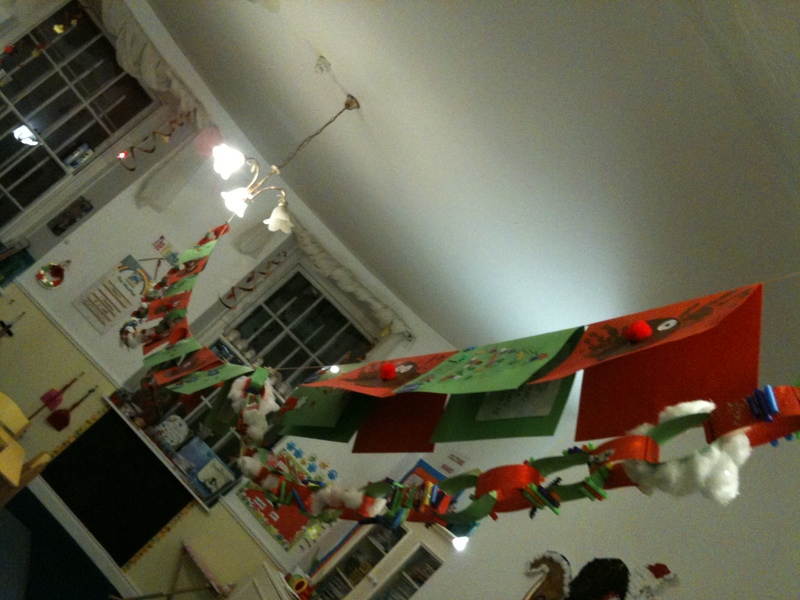 Of course the seasonal theme didn’t end with arts and crafts or music, we began our Christmas counting. 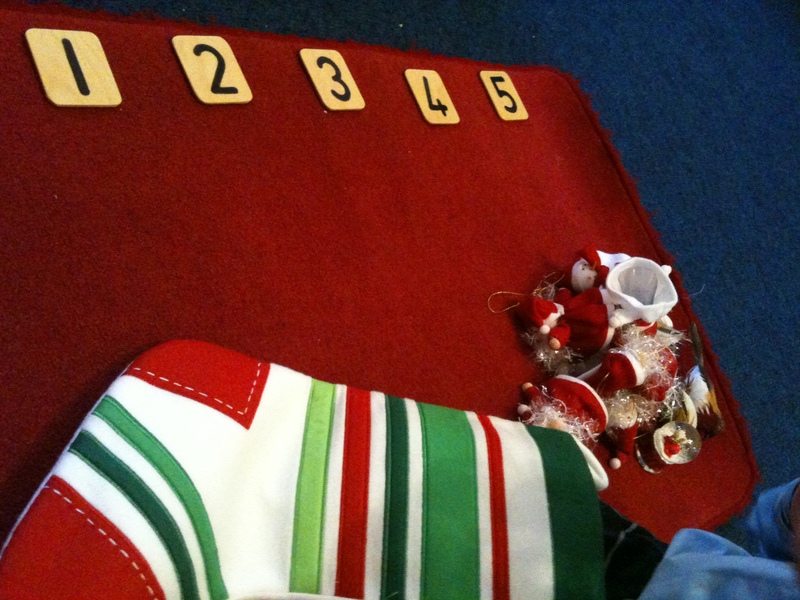 Much like our Halloween counting we had a Christmas stocking filled with items to count from 1-5. As it turned out to be so popular we were all very proficient at 1-5 and I had hoped to move to 6-10 but the weather had other plans and the snow disrupted our progress somewhat. 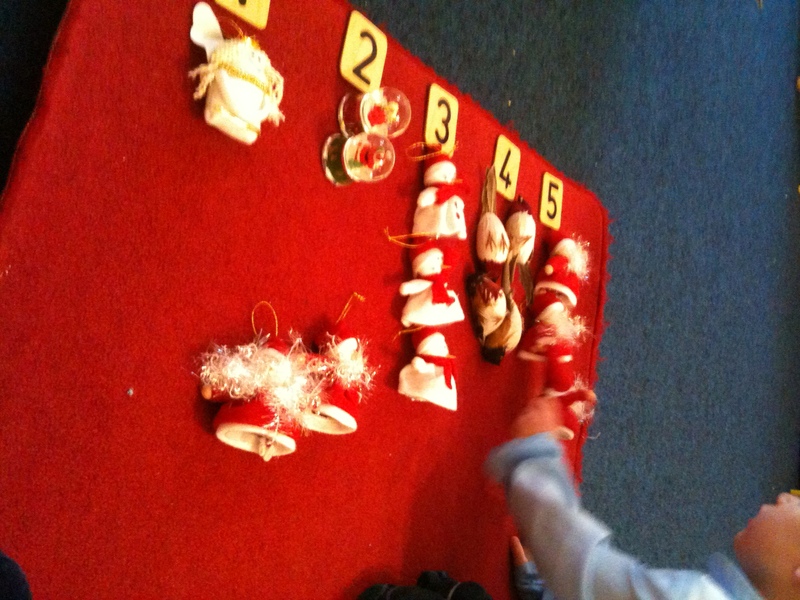 Still we really enjoyed examining and counting our Christmas cornucopia. 🙂 It’s a lovely work and alongside enhancing concrete number skills it added much to our language and vocabulary as we talked about each item and our experience of it. It also calls to the sensorially sensitive child, using our tactile and visual senses to group the items into similar and different items for counting. The snowglobe (pictured left) was particularly entrancing to the students. 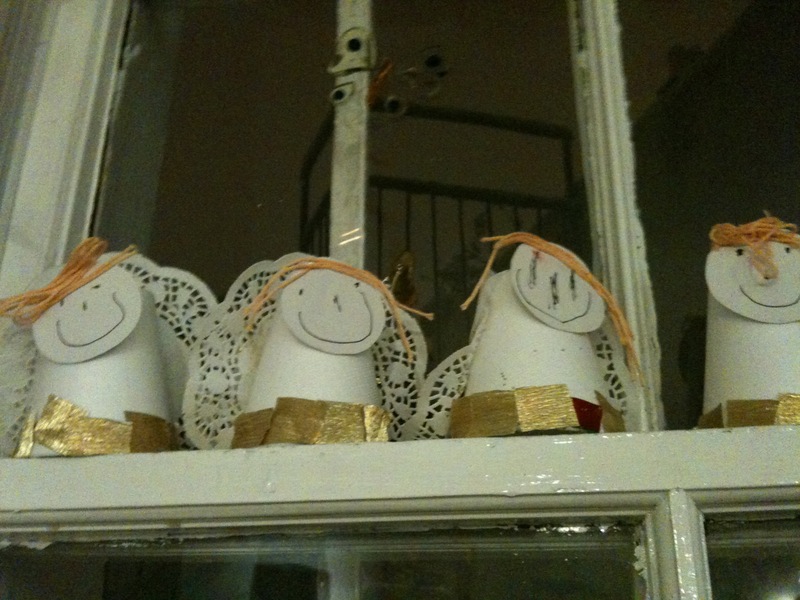 I’m thinking in the summer we might make glitter globes as these two in the counting were so popular. Our practical life work also took on a festive aspect, adding cinnamon and nutmeg to the sieving work, scenting the work with a Christmas air. 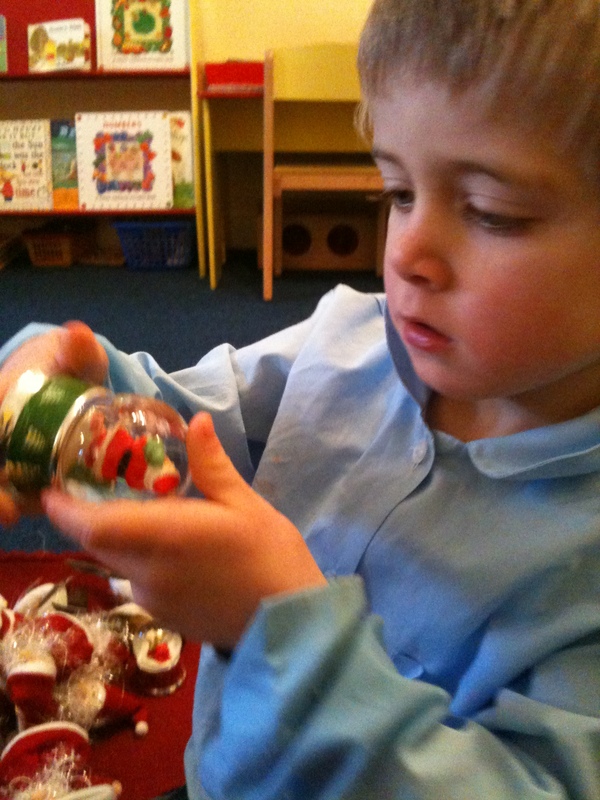 We added glitter to our pouring water, and Christmas pompoms and mini baubles to our transferring work. 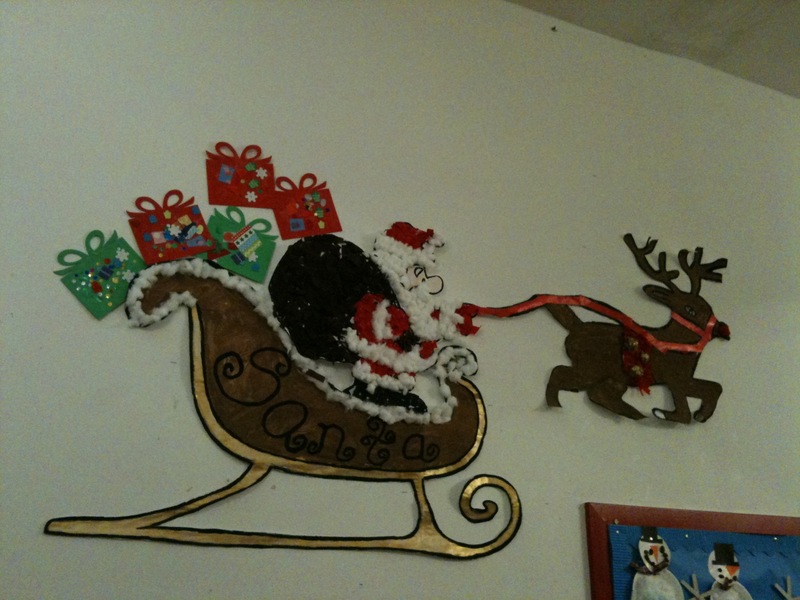 A break from festive themed work we were lucky to be given a pre-christmas gift from a mom of one of our teachers. 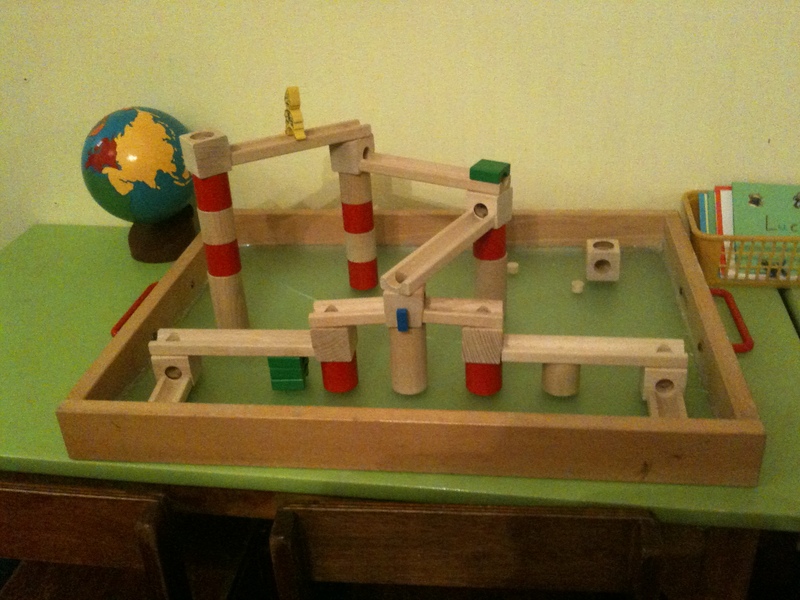 Our wooden marble run! Building this in a team and taking turns running the marbles through the maze was a very popular activity and gave us many learning and laughing experiences. 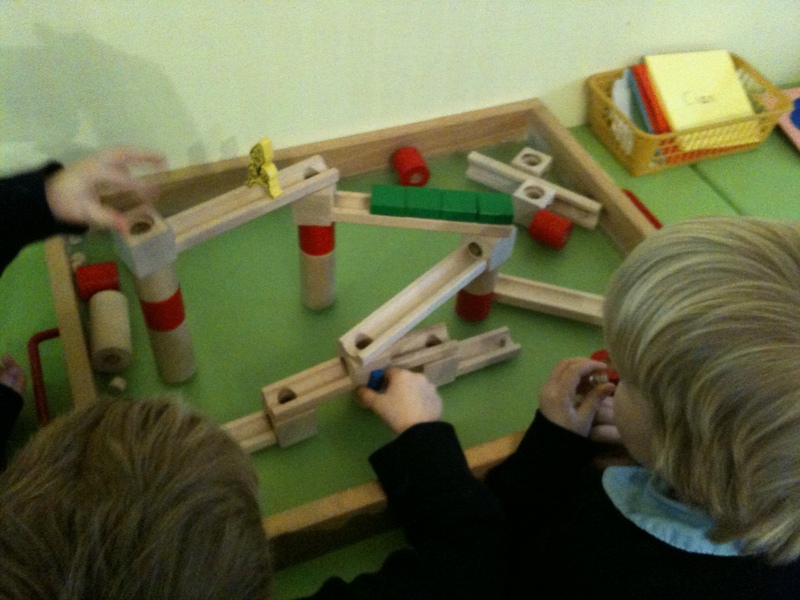 Taking turns on our marble run. Huge thank you from the staff and students of the Nursery! As you may know 2010 was Hedley Park’s 20th Anniversary Year, and as such we thought we’d start a few new traditions to carry us through the next 20! The blog was one of the new ideas and we are so glad that it became as popular as it did. Daily I am delighted at how many visitors we get and the response of parents and students, past & present to what we are doing and how we are documenting that. So a big thank you from our blog mistress as your enthusiasm via comments and visits makes this such a worthwhile endeavour. Here are a few statistical infobites that WordPress captured regarding the visitors to our blog! A Boeing 747-400 passenger jet can hold 416 passengers. This blog was viewed about 2,300 times in 2010. That’s about 5 and half 747 jets of our blog visitors! In 2010, there were 16 new posts, not bad considering we began in September! That works out at a post a week, over the 4 months Sept-Dec. There were 152 pictures uploaded, taking up a total of 150mb. That’s about 9 pictures per week. The busiest day of the year was September 20th with 94 views. 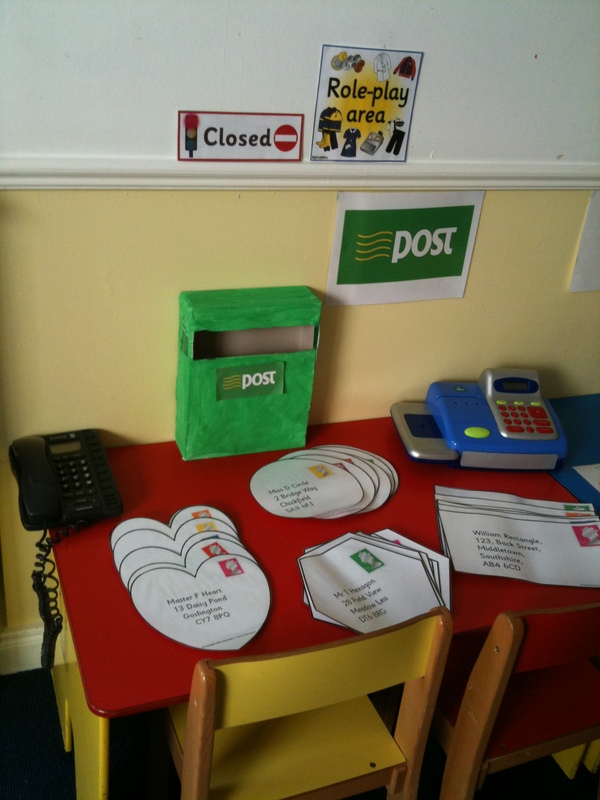 The most popular post that day was The Pink Tower and The Post Office. So thank you for sharing our links and passing our blog to your family and friends. 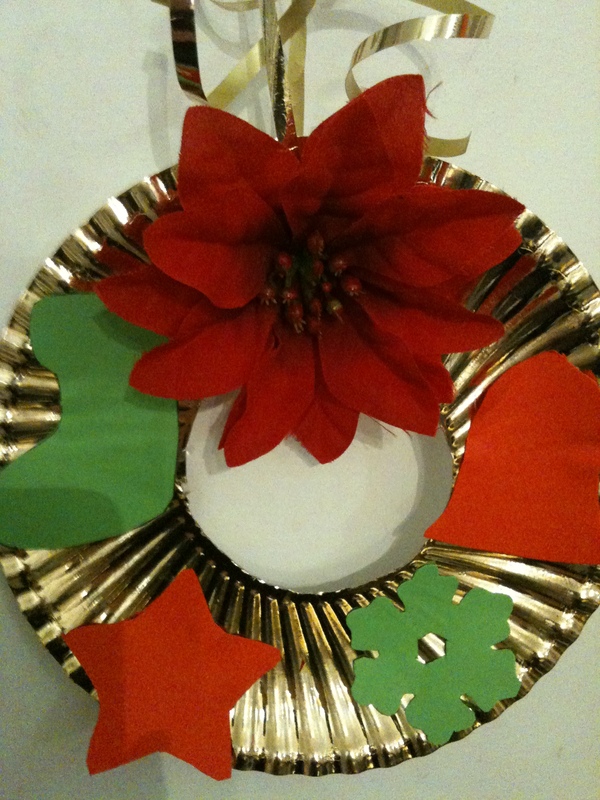 art & craft montessori class. So now we are back in the swing of the New Year we hope to keep informing, entertaining and enlightening you to the work of your children in our care throughout 2011.